มาตรฐานด้านบริการห้องพัก พร้อมต้อนรับท่านอย่างอบอุ่นและสร้างความประทับใจให้ท่านมิรู้ลืม ด้วยระบบการบริการคุณภาพมาตรฐานอันดับหนึ่งในอำเภอธาตุพนม และทางโรงแรมของเรายังได้รับการคัดเลือกจากการท่องเที่ยวแห่งประเทศไทย (ททท.) ให้เป็น 1 ใน 50 โรงแรม Unseen Paradise " ที่พักในฝัน สวรรค์ของคนเดินทาง "
One of Thatphanom, NakhonPhanom province’s best and innovative hotel, Thatphanom Riverview Hotel fuses comfort, luxury, technology as well as cuisine and service. 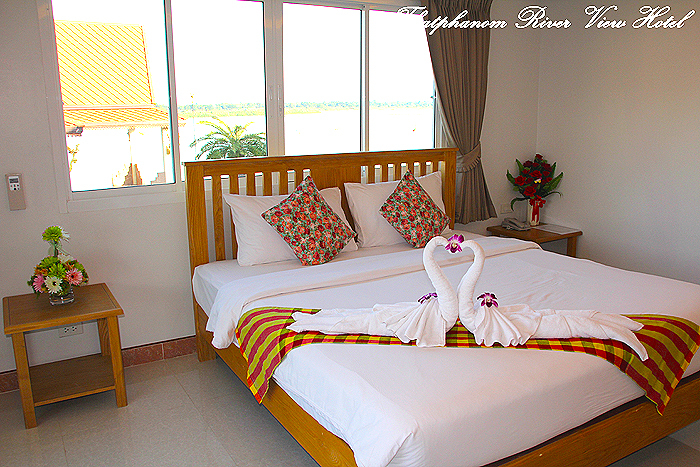 The hotel is located by Mekong River overslooking the scenic view of either WatPhra That Phanom or Mekong River. 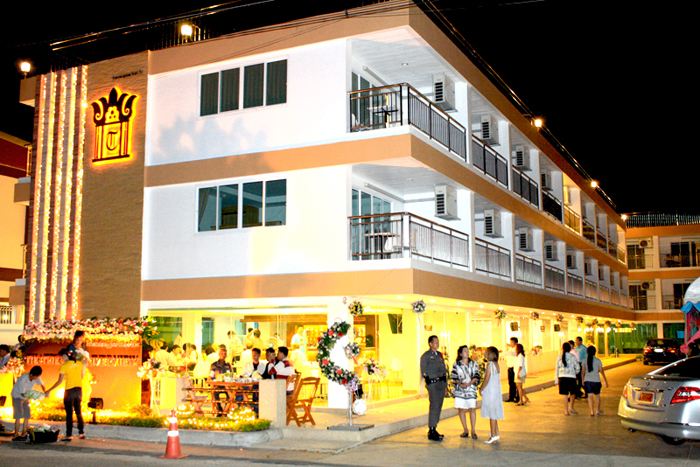 NakhonPhanom Airport is just a 45-minute drive away from our hotel. Our hotel guestrooms are furnished with beautiful silk and natural wood, giving an innate sense of contemporary Thai. Each guestrooms is open, spacious with in-room technology such as high speed wireless internet. 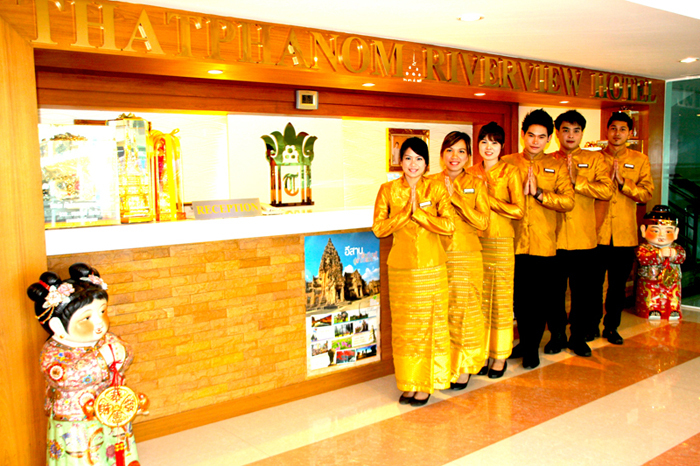 Thatphanom Riverview Hotel provides a choice of dining, drinking and karaoke, from Nateetong Restaurant to Chulamanee Karaoke, offering authentic Thai, Chinese and International cuisine. 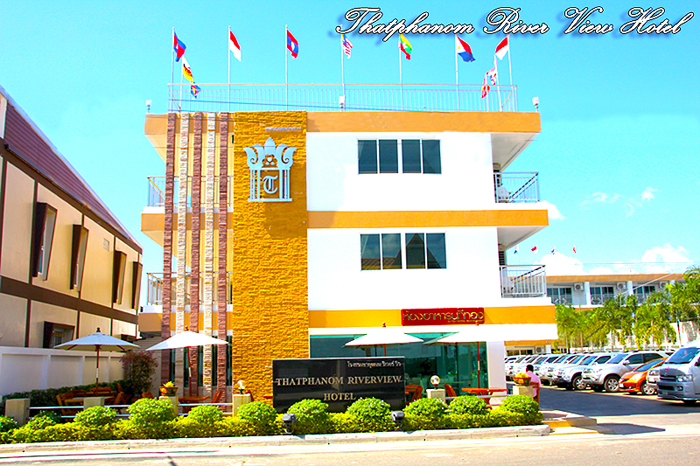 The hotel is considered one of the most versatile and spacious banqueting, conference and meeting venues in That Phanom; for instance, Tharn Tong Function Room can accommodate up to 120 delegates and provides extensive business services.